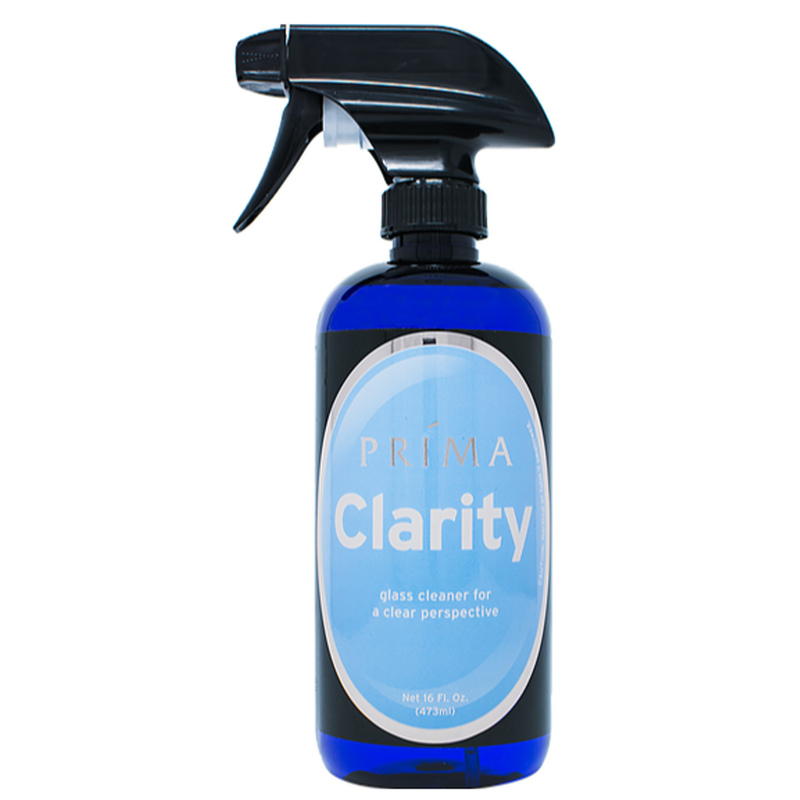 Prima Clarity is a powerful glass and plastic cleaner. It contains neither alcohol nor ammonia, making it safe on tinted windows and soft plastics. 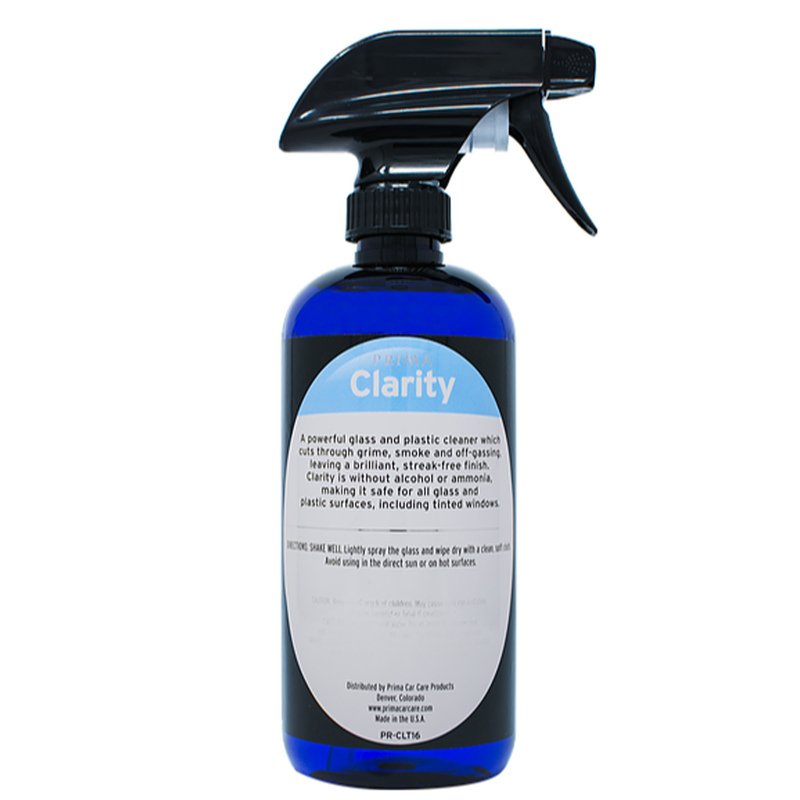 Clarity is quite streak-free. It cuts through grime, gunk and vinyl off-gassing with remarkable ease.